The most decadent reminder: Turn your clocks back, UK! Today we turn the clocks back in the UK. Expect darkness mid-afternoon. How depressing. Winter is officially here. While it's sad to say goodbye to the sunny season, there are oh so many plus points to welcoming winter. For starters, it's time to get cozy. Oversized sweaters, cocoon coats, cashmere sock and big boots are all coming out of storage in preparation. Speaking of preparation, I had the most decadent reminder of the fall back in time this morning. Dreams sent over a little care package to help me get through the first day of the long winter. 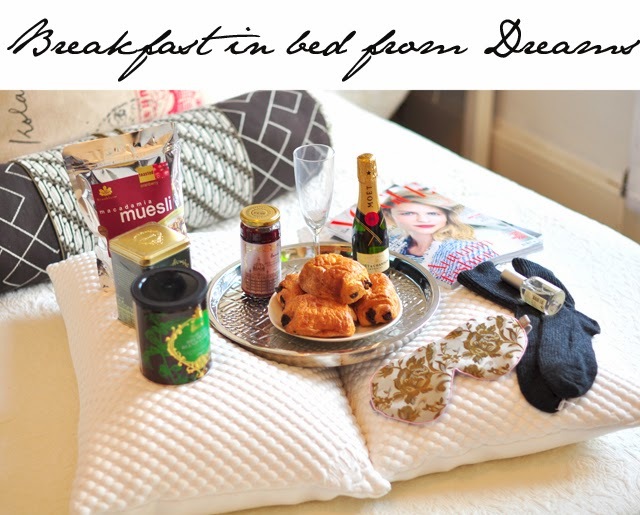 Chocolate croissants, champagne, coffee, tea and muesli made for the perfect breakfast in bed. 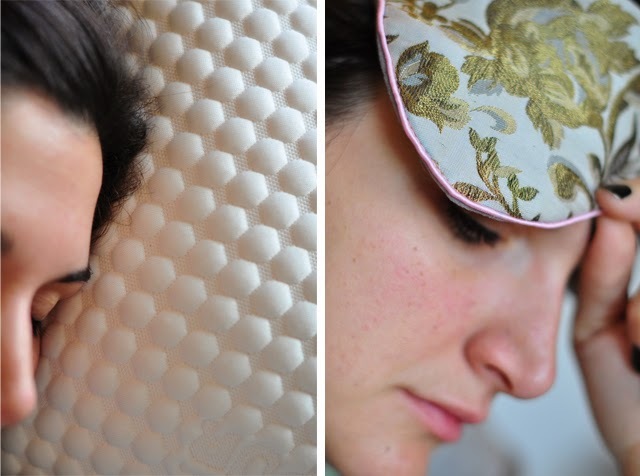 Sent along with two of the most incredible pillows I've ever felt in my life (they're Tempur), this looks like a pretty nice start to the winter months ahead. 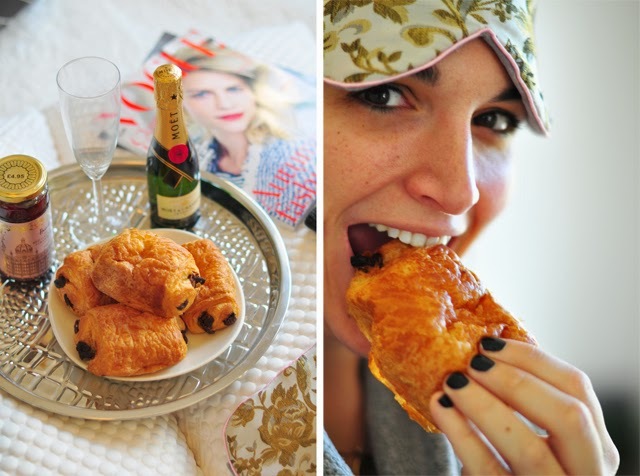 Oh if only ever day could start in this fashion.